Part of our ‘premier range’ these houses are designed and hand Crafted here in Devon. These wooden housing are built from pressure treated tanilised timber with solid plywood floors. Very solid and robust these houses can be moved around easily with the handles at either end. 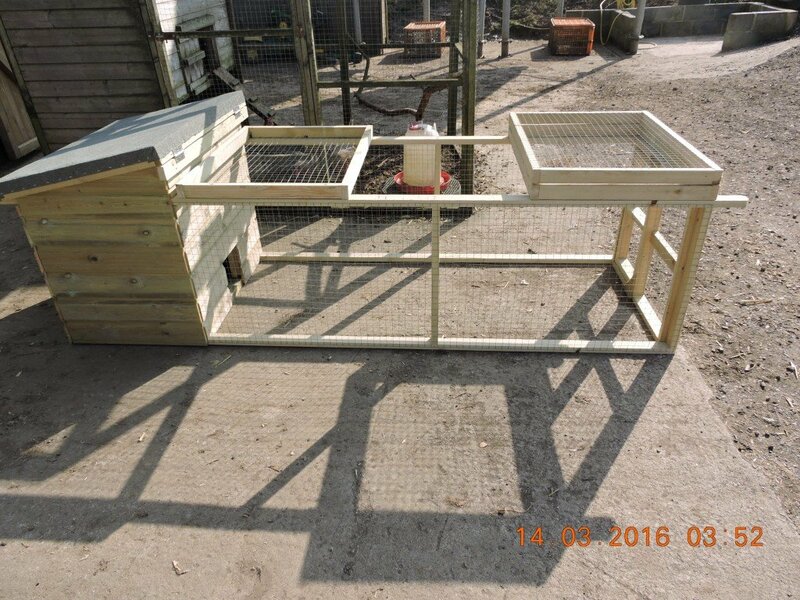 These houses are suitable for our Point of Lay chickens, bantams / broodies and of course quail. This houses come flat packed so easy to transport and easy to erect. The Quail Ranger has a 3ft x 2ft house with a 4 ft run with with half inch wire for added safety. Purpose built to be used inside a shed or stable or outside on hard standing or a bedded surface. 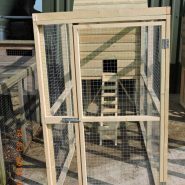 This quail house allows access to both the run and house . There are no perches or nest boxes as quail are ground dwelling birds with no perching instinct , they also tend to lay their eggs anywhere and every where and will not use a nest box as such. They will tend to lay in the house but there are not guarantees. 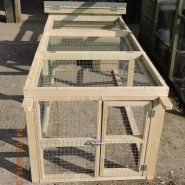 We love this quail house , it is easy to move around so depending on the season and weather you can move you quail to suit. Quail need shelter from wind and rain , whilst hardy they do not take them selves to bed or shelter from inclement weather , they are fine in showers and sunshine but prolonged rain will not do them any good. Be the first to review “The Quail Ranger” Click here to cancel reply.